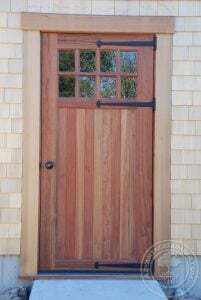 What’s The Best Wood for an Exterior Barn Door? You’ve probably searched endlessly online for exterior barn door advise and are probably tired of reading about people building interior sliding barn doors out of pallets or grandmas old bookshelf. Believe it or not some people actually build barn doors and put them outside on a barn. 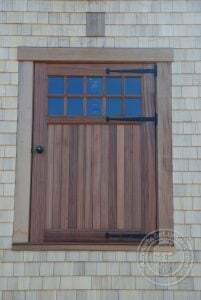 In this post we’ll discuss the most durable wood that will last outdoors without rotting and lots of maintenance and show you some exterior barn doors our customers have built. The most durable woods you can build an exterior barn door out of are Ipe, Cumaru, Tigerwood, Massaranduba, Garapa, Angelim Pedra and Itauba. These are all South American hardwoods that are proven to be more durable than teak and at a much cheaper price than teak. The 70 year old reclaimed Ipe wood on the Cyclone Lounger looks just as good as the new material we sell and that Ipe wood will probably last another 50 years. Now imagine if you built your exterior barn doors out of the same wood one of our customer did just that so we interviewed him and made a video you must watch below. He loves how durable the Ipe is on his barn and he has one barn door left that is still pine that he needs to replace yet so you can see the comparison. Here is another project one of our customers built these custom barn doors out of Ipe wood and a painted steel frame. 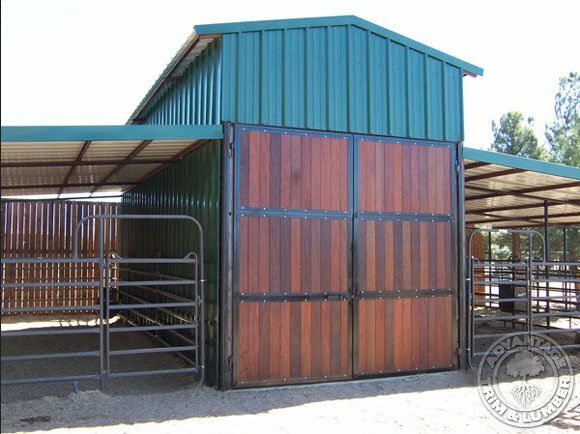 He used short length boards which we sell significantly cheaper so he was able to save him self a lot of money and his barns doors will last many years. Below is a man door and a matching hayloft door that were built for a barn out of our Tigerwood lumber. The pictures were taken without any oil applied to the wood, once oiled the grain will be enhanced and the Tigerwood will really look beautiful and will last for many years without rotting. This entry was posted in Do-It-Yourself, Ipe Decking, Ipe Wood and tagged exterior barn doors, ipe wood doors, tigerwood doors on September 18, 2018 by theipeguy.